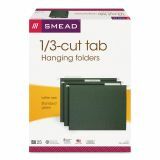 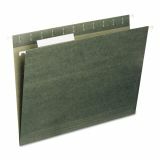 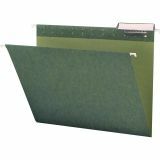 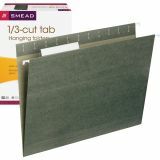 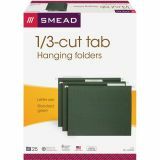 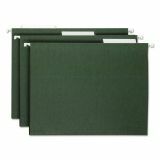 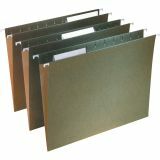 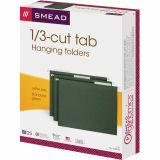 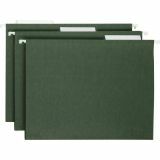 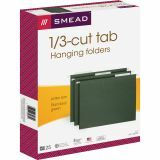 Smead Hanging Folders, Letter, 1/3 Tab, Standard Green, 25/Box - A popular choice for desk drawer files, hanging folders keep important papers neat and organized. 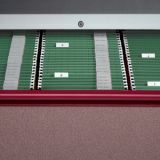 Coated rod tips allow smooth glide. 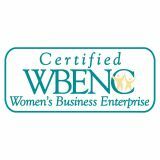 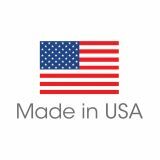 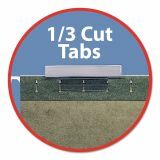 Clear vinyl 1/3-cut tabs with blank inserts can be positioned in a variety of locations. 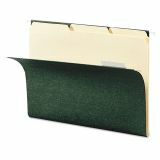 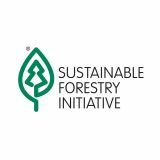 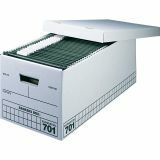 Two-tone green stock prevents filing papers between folders.